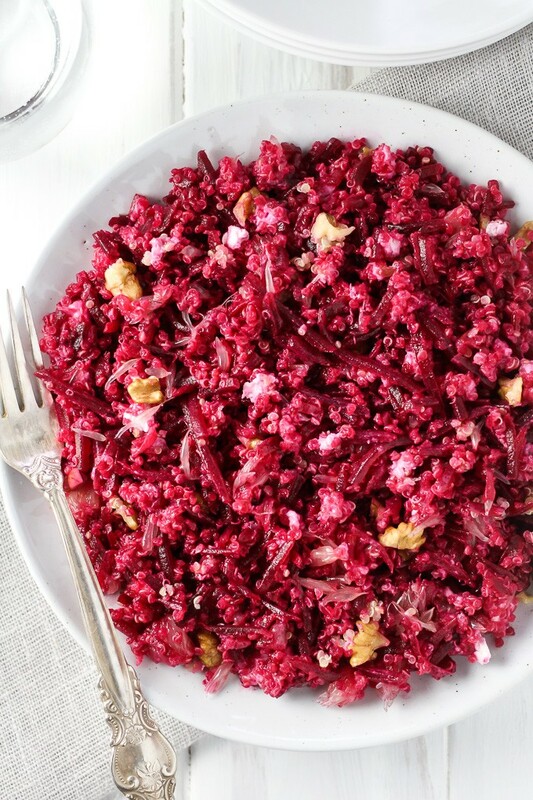 This beet quinoa salad is very easy to make. 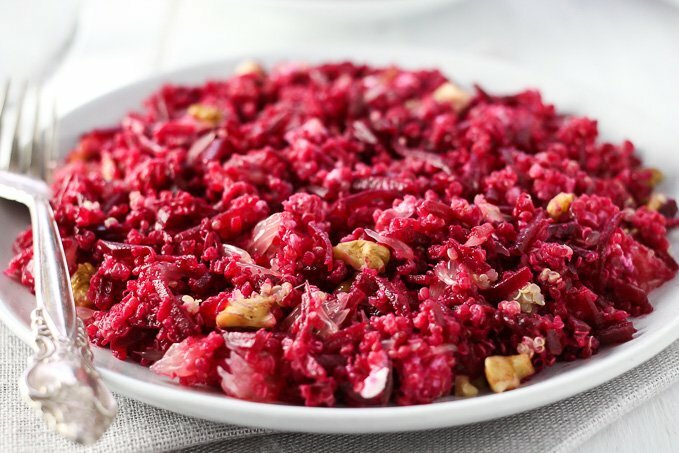 If you have cooked beets and quinoa in the fridge, you can put it together in just a few minutes. 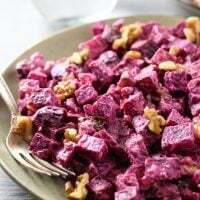 The combination of beets, quinoa, walnuts, goat cheese, and olive oil make this salad very filling so you can eat it on its own for lunch or dinner. It also makes a great side dish. Make sure to wear gloves when handling beets because they will stain your hands. Also, keep in mind that beets will stain a wooden cutting board. 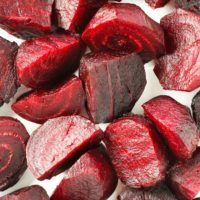 The pigment responsible for such strong color in beets is called betacyanin. It is used to make natural food dye. At home, you can also use beets to color Easter eggs. 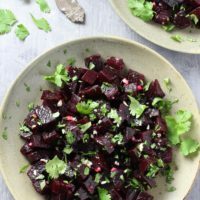 For detailed instructions on how to cook beets, check out How to Cook Beets: 5 Easy Methods + Tips and Tricks. 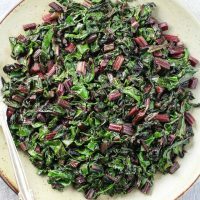 And if you like salads with beets, check out this Detox Kale and Beet Salad and this Mediterranean Beets with Garlic and Olive Oil. 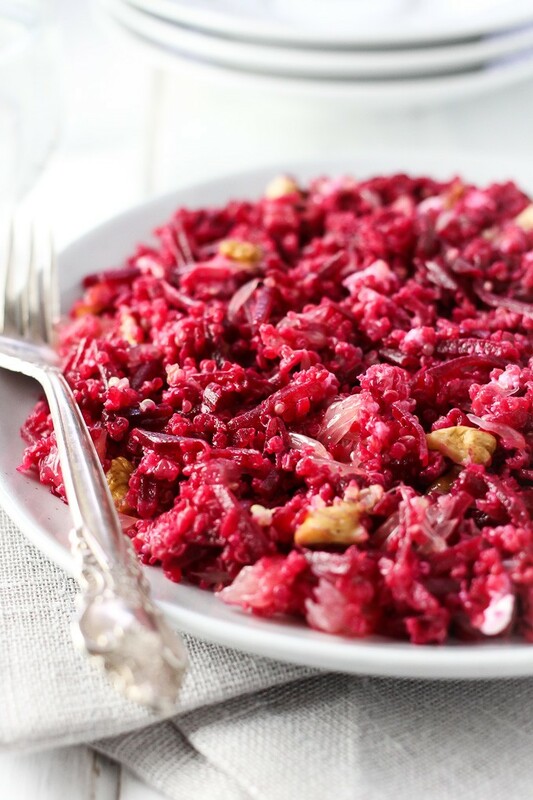 A healthy beet quinoa salad made with creamy goat cheese, crunchy walnuts, and grapefruit. 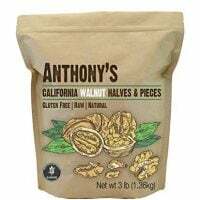 Can be served on its own or as a side dish. 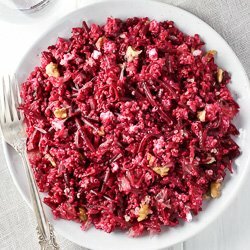 This salad is very filling and easy to make. 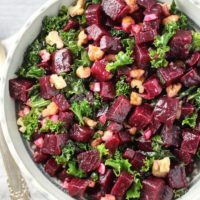 Check out this post for detailed instructions on how to cook beets. Cut the grapefruits into sections. 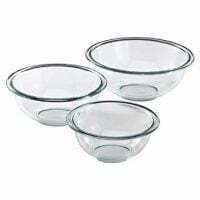 You will also need about 1/4 cup of grapefruit juice which you can squeeze from the remaining grapefruit pieces after you cut out the segments. 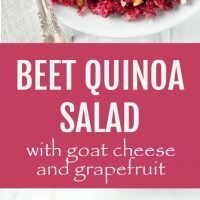 Place the beets, quinoa, grapefruit segments, goat cheese, and walnuts into a large bowl. Pour the grapefruit juice and olive oil over it. Season with salt and toss to combine.